Printer's (short) Pallet Trucks are ideal for use with half size pallets, such as those typical in the printing industry. 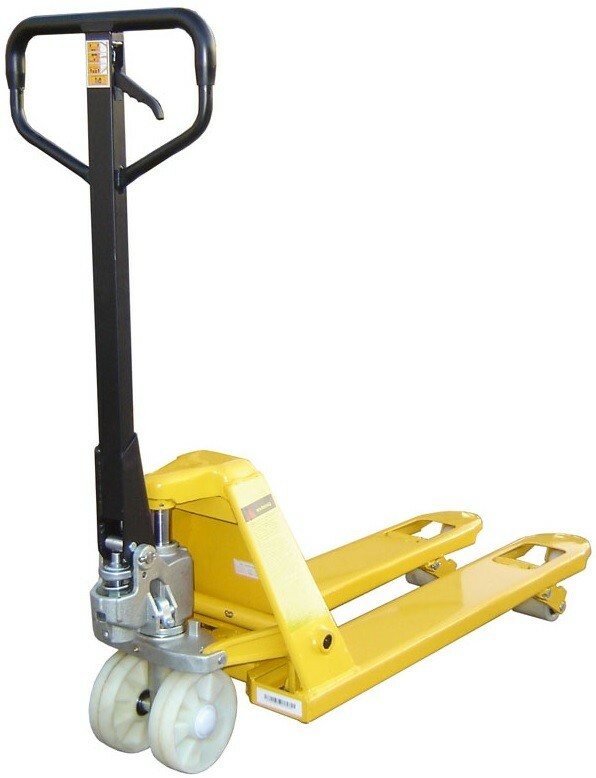 Printer's (short) Pallet Trucks are ideal for use with half size pallets, such as those typical in the printing industry. This model is available in two different fork sizes as standard, other forks lengths and widths are available to order. These are the most popular Printer's pallet trucks fork sizes and are almost always in stock. We also stock other similar fork sizes including 460 x 500mm, 460 x 600mm, 460 x 800mm, 460 x 1150 and 460 x 1200. We can of course make special printer's pallet trucks to your requirements. All sizes can be seen in the drop-down list above! If you have any such special requirements with regards to printer's pallet trucks, please contact us on 0800 458 8025 for further details.